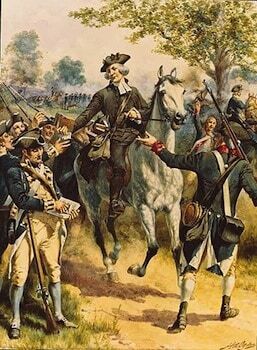 The Affair at Little Egg Harbor took place on October 15, 1778, in southern New Jersey, USA, during the American Revolution. 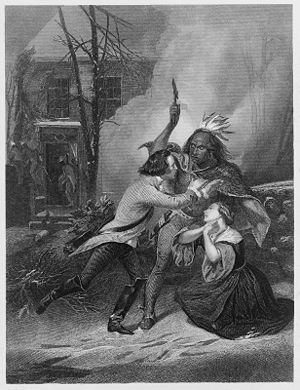 In what the Americans called a massacre, the Loyalists killed nearly 50 Patriot men, bayonetting them as they slept. The attack took place about one week after the Battle of Chestnut Neck, a British raid aimed at suppressing privateers who used the area as a base to harass and seize British ships and their cargoes. 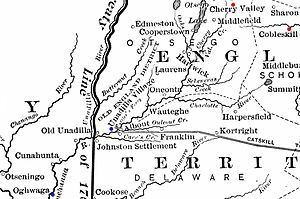 Captain Patrick Ferguson led a raid on Chestnut Neck, on the Mullica River, to retrieve supplies taken by privateers and try to stop their use of the town as a base for the distribution of their prizes and shipment of captured goods to General Washington at Valley Forge. Count Kazimierz Pułaski and his newly raised forces were ordered to oppose his actions. Pulaski’s Legion, along with three companies of light infantry, three troops of light horse, and one artillery detachment, arrived the day after Ferguson departed Chestnut Neck. But their arrival did stop Ferguson from raiding the iron works at Batsto, and stemmed their attacks on privateers at The Forks of the Mullica River. For a week the two forces were at a standoff. Pulaski’s troops were deserters, mainly, as well as a number of foreign adventurers. 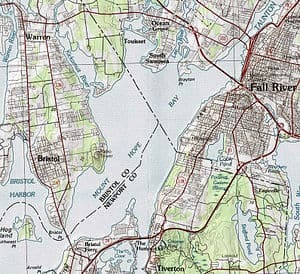 They reached the Little Egg Harbor district (near present-day Tuckerton), and immediately set up camp on a farm. Lt. Gustav Juliet, a deserter, found Ferguson and told him of Pulaski’s encampment; he mentioned that morale was fairly low, and security almost nonexistent. Ferguson promptly loaded 250 of his best men onto boats and rowed them, in the dark, some ten miles to what is now Osborne Island. He marched them two miles to the site of the infantry outpost, which comprised fifty men a short distance from the main encampment. At first light, Ferguson ordered the attack; he took only five prisoners and killed nearly 50 men. Pulaski eventually led up his mounted troops up, causing Ferguson to retreat to his boats, leaving a few men who had fallen into the Patriot colonists’ hands. • The farm land which was the site of the battle has been developed as the Country Club Estates; a small parcel of the colonial farm was preserved on a plot of land between Hollybrook Drive and Cedarbrook Lane. • The Pulaski Monument is located on Pulaski Blvd in the Mystic Island section of Little Egg Harbor.